Ralph Cintrón holds a joint appointment in English and the Latino and Latin American Studies Program. 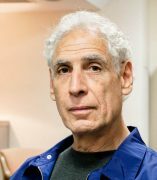 His research and teaching interests are in rhetorical studies;ethnography, particularly urban ethnography; urban theory; theories of transnationalism; political theory, particularly the anthropology of democracy; and social theory. He is on the Executive Board of the Rhetoric Society of America. Research wise, he has been working ethnographically in specific Puerto Rican and Mexican neighborhoods in Chicago. Some of this work has occurred inside an alderman's office where the focus is on housing issues. Other work in these communities has been focused on labor, immigration, the transnational political and economic forces that underpin these neighborhoods, and the evolution of political ideology. He is also associated with UIC's International Center for the Study of Human Responses to Social Catastrophe. In association with the Center, he has done fieldwork in Kosova and co-authored essays on humanitarian interventionism and international state-building.During the academic year 2007-2008 he was a Fulbright scholar at the University of Prishtina, Kosova, where he taught political science and did fieldwork in the region. In addition, he is associated with the International Rhetoric Culture Project, which brings anthropologists and rhetoricians together, at the Johannes Gutenberg University in Mainz, Germany. He is scheduled to be a co-editor for a forthcoming volume on politics.He is also producing a single-authored book that theoretically and ethnographically critiques a few of the key topoi of democracy (transparency, equality, freedom, rights) in order to explore the ruses of liberalism. He is a former Rockefeller Foundation Fellow, and his book, Angels' Town: Chero Ways, Gang Life, and Rhetorics of the Everyday, won honourable mention for the Victor Turner Prize for Ethnographic Writing from the American Anthropological Association.